Extreme temperatures are a common reality in many industrial and embedded computing applications. The minimum required temperature rating for our selection of wide temperature systems is -20°C~70°C, with some systems rated for even more extreme conditions. 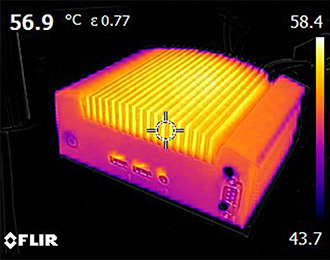 Our small form factor extended temperature computers are engineered to last, no matter where they’re deployed.